[so that it can be an] onramp for everyone. You could play it without having to go back to any of the other God of War games. Your first experience could be this game. But it could also drive you to want to go back. 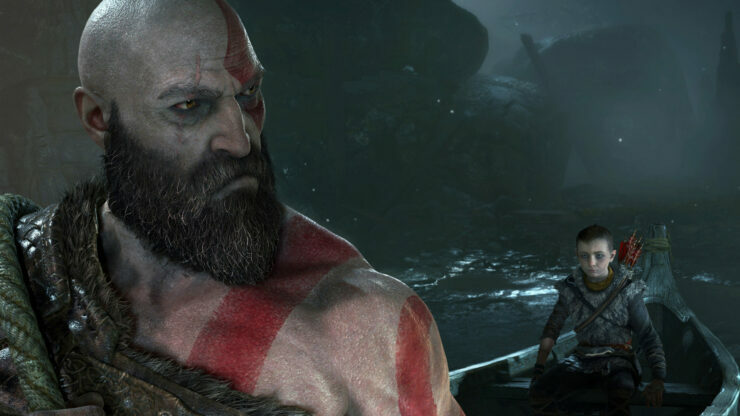 This makes perfect sense due to the massive changes Sony Santa Monica implemented for this God of War game, starting with the setting (Norse mythology instead of Greek mythology) and the basic setup where Kratos isn’t really a killing machine anymore but rather a father who wants to mentor his son Atreus. Then, of course, from a gameplay standpoint it’s even more of a departure with the third-person, over-the-shoulder camera that brings players much closer to the action compared to previous God of War games. It’s hard not to see an influence from character-focused action/adventure games like Naughty Dog’s and in fact later in that interview Barlog proceeds to crown the developer and in particular The Last of Us game as the ‘gold standard’ in gaming. The Last of Us is the gold standard. Everything they do at Naughty Dog is. They have the same sort of root desire that I have when I approach a game: To tell a simple story but place complex characters within that story. God of War, due for release exclusively on PlayStation 4 on April 20th worldwide, will be a showcase for the PlayStation 4 Pro console. Digital Foundry confirmed as much after taking a look at gameplay footage taken at 4K resolution on PS4 Pro. Based on the 16 minutes of footage we had to check out, the image looks sharper than Horizon and the occasional checkerboarding artifacts are visible if you look closely and very selectively. Indeed, we had to spend a few minutes eyeballing various frames before calling it, which suggests that that development team has been very successful in delivering a sharp presentation. Although not native as such, it still looks beautiful on an ultra HD screen and by our reckoning, this is shaping up to be one of the cleanest 4K games available on the platform. Furthermore, God of War will be one of the few games “filmed” in a single-shot with no camera cuts. This should significantly enhance immersion. Do you plan to purchase the game and if so, will this be your first foray into the franchise? Let us know below.